I’m excited to share with you these hand drawn Fall Doodles I created for The Graphics Fairy membership. It was a huge collection to start with, 33 hand drawn images, but The Graphics Fairy took them and created even more fun stuff! They have all the images that are now vectorized (nice and clean), Photoshop brushes, and 5 printables! Any online store would be selling this set for a lot more than the monthly membership costs, believe me. But as a member you receive all of their kits – and they are fabulous! 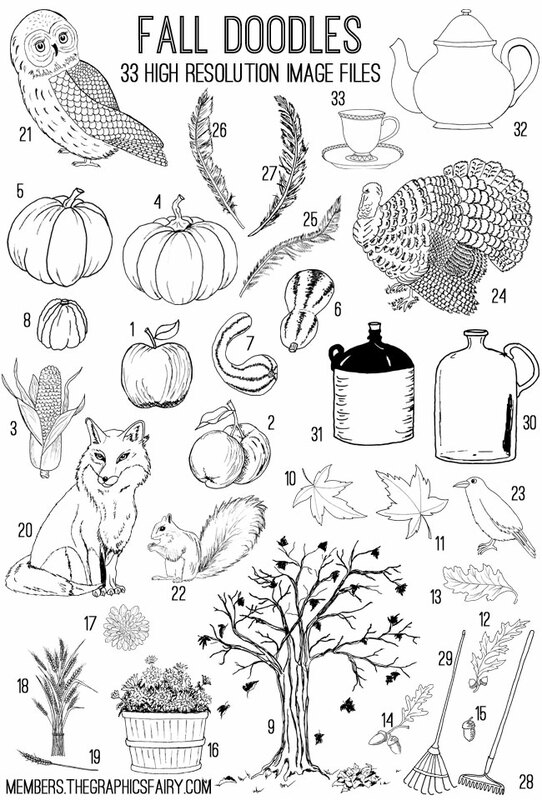 I hope you’ll stop by The Graphics Fairy and take a look at all that’s available in the hand drawn Fall Doodles Kit and also the other membership kits available. 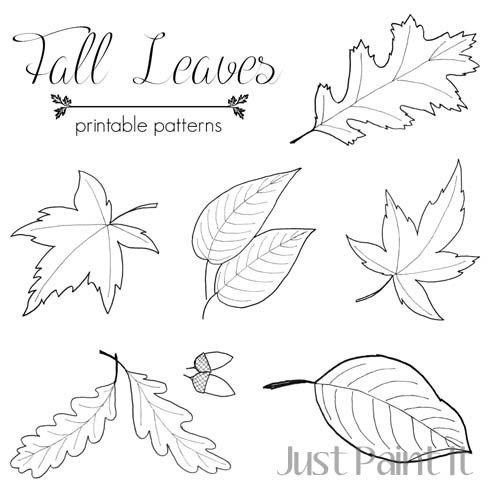 If you’re looking for some freebies, I drew some Fall Leaf patterns last year or look in my Patterns and Printable files. I’m trying to sneak a Halloween printable in between pet portraits and Christmas paintings, although it’ll probably be last minute. But if you’re like me, then you’ll appreciate having a quick ‘n easy Halloween ‘decoration’. Don’t forget to head over to The Graphics Fairy! Wow, Colleen, you’ve been busy! These are great. Thanks a bunch and Happy Autumn!